The past couple of days have been a random hodgepodge of food, and a time to use up some things in the fridge. 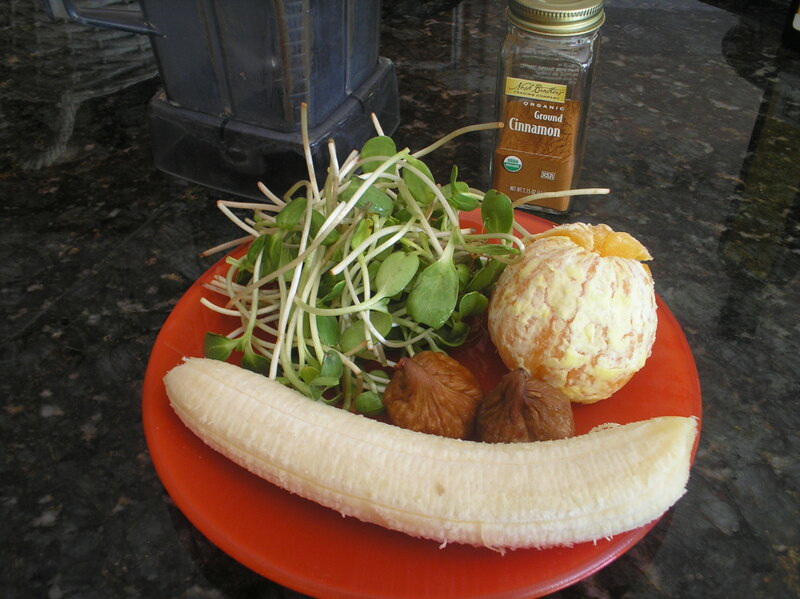 I love to make these when I have all the ingredients on hand: banana, sunflower sprouts, orange, dried figs and cinnamon. If you’ve never tried sunflower sprouts, they are amazing. They have a very unique flavor, tons of protein, and are very fresh. They are a great ingredient for smoothies, salads and more. 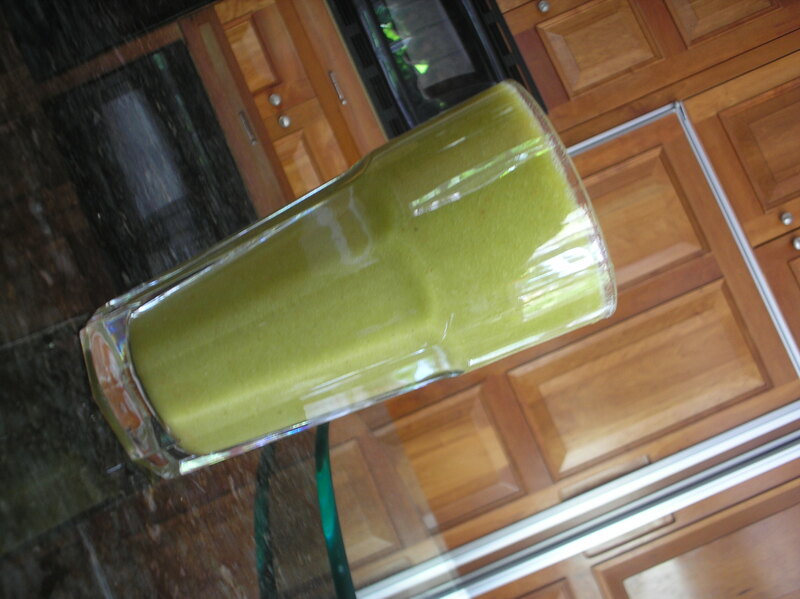 Add everything to the blender and blend together with enough water to make your preferred consistency. It is a wonderfully filling smoothie! Later on, I was ready for dessert, but wanted something easy and made with whole foods. I had some cooked rice in the fridge, so decided to make a cherry-chocolate rice pudding. 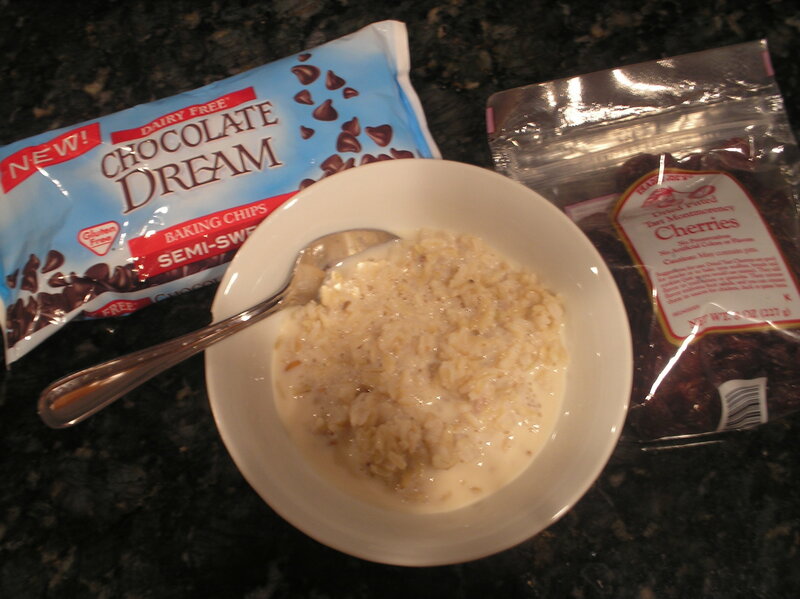 Cooked rice, soy milk, dried tart cherries and a few chocolate chips, nothing easier than this! 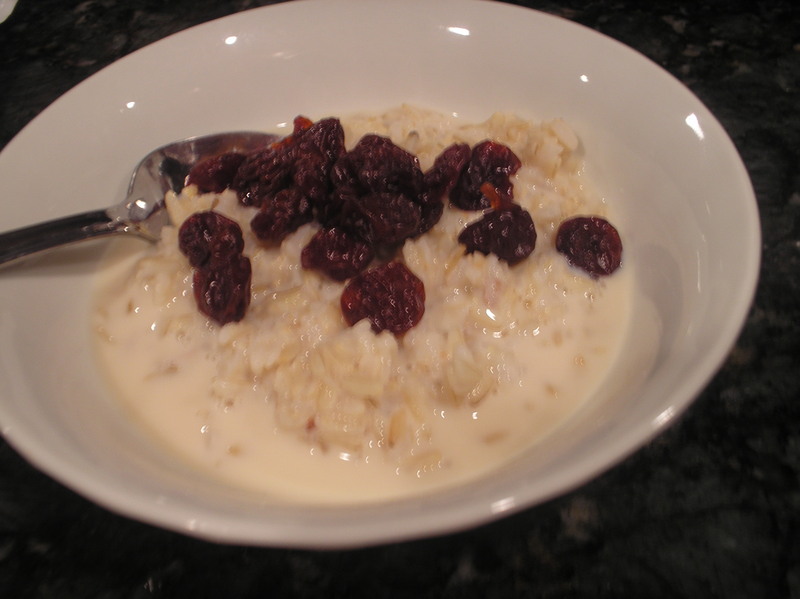 Put the rice, some soy milk and a few dried cherries in a bowl, and microwave for about a minute. Sprinkle a few chocolate chips on top and mix together. 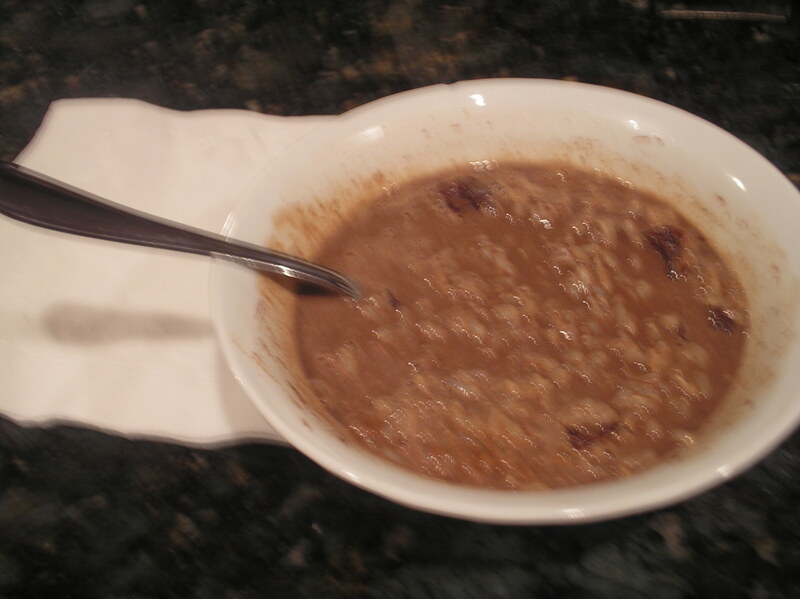 I’d used a little too much soy milk, so it was like hot chocolate in a bowl with a few mix-ins, but it tasted fabulous ~ much better than it looked! Previous postIn the great outdoors…..